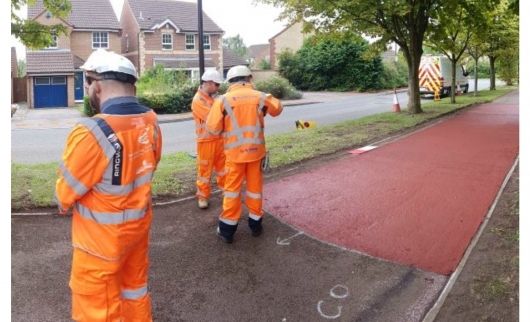 Milton Keynes was awarded £2.271 m grant by the Department for Transport who identified that the funding should be directed towards repairing damaged roads, tackling potholes and repairs to bridges/structures. MK Highways has completed the spend of this grant. In order to comply with the 'grant' requirements Milton Keynes has set aside a dedicated web page that will act as a repository for all documentation in relation to all evidence and any formal communication. We have produced a series of case studies to substantiate each scheme delivered to showcase what work has been carried out, why it was carried out, all associated costs, benefits realised by the scheme and photographic evidence showing the actual improvement achieved. 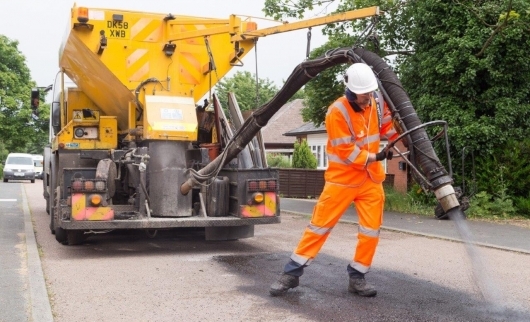 Repairs to damaged roads - Milton Keynes has identified a number of roads damaged during the recent severe winter of 2018 and the high temperatures experienced during the summer of 2018. The funding in this grant has been used to carry out structural repairs to these roads, this work was completed in 2 phases by the end of March 2019 - See case studies below. Tackling Potholes - In addition the grant fund has also been used to continue the existing good work already undertaken in repairing potholes on the MK network using both Spray Injection Technology and anti skid overbanding to repair road defects at an earlier stage before they deteriorate and form into more damaging potholes, this work was all complete by end March 2019 - See case studies below. Repairs to Bridges/Structures - MK Highways has identified 2 no. schemes on structures that has utilised this grant funding, the grant funding element of these schemes has been substantially complete by the end of March 2019 - See case studies below.